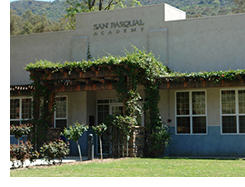 The San Pasqual Academy (SPA) in Escondido is a first-in-the-nation residential education campus designed specifically for foster teens. The Academy is located in North County and provides foster teens with a stable, caring home; a quality, individualized education; and the skills needed for independent living. San Pasqual Academy’s Youth Empowerment Services (YES) Program is a work readiness and self-sufficiency program that has been providing services to students since the school opened in 2001. YES is funded by the San Diego Workforce Partnership (SDWP), which partners with Access, Inc. to provide the direct services. YES provides a comprehensive program that includes work readiness training, financial literacy, leadership development, internships, job shadow, job placement and career exploration activities to all students on campus. The work experience/internship component strives to improve the outcomes for students as they transition off campus and into self-sufficiency. The SDWP Workforce Investment Board (WIB) meeting will be held at SPA on March 20 at 8 a.m. WIB members will convene for a regular business meeting and tour the residential education campus for foster youth.